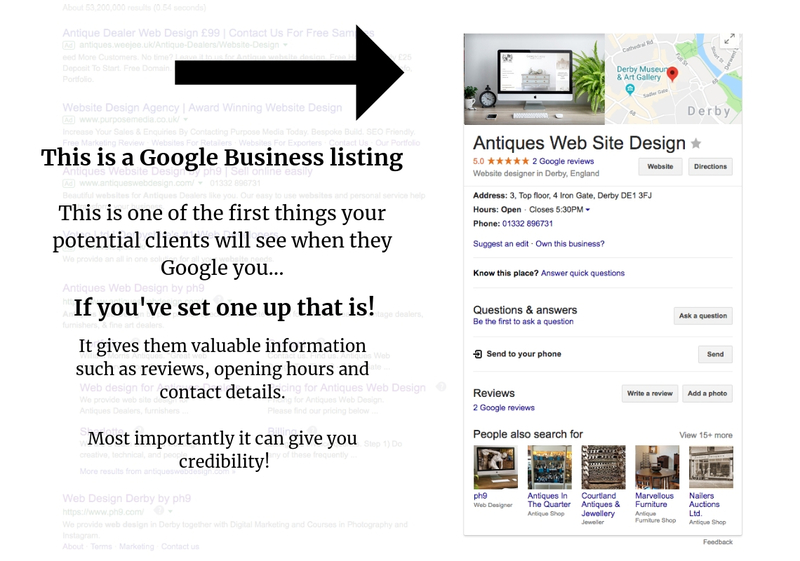 Have you heard of a Google My Business listing? You may not have heard of them but I can guarantee that you've seen them before. 3. How you should use Keywords? 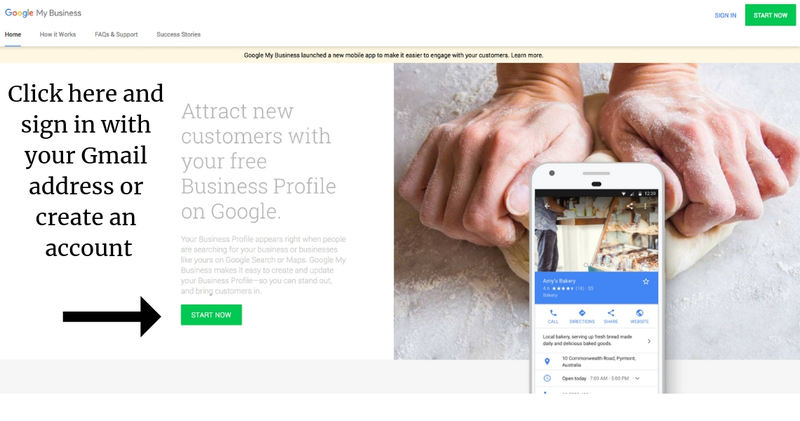 Get your pen and paper because there's going to be a lot to take in, but by the end of this article, you'll be a Google my Business pro! 1) Why is it important to have a Google My Business Listing? It's critical for local SEO! When someone searches a term such as 'Fine Art' Google will automatically look for business listing with the words 'Fine Art' that are closest to you and present them to you. Thus helping you get found by potential clients that are near to you. In addition to local SEO it also helps with the over all SEO on your website. 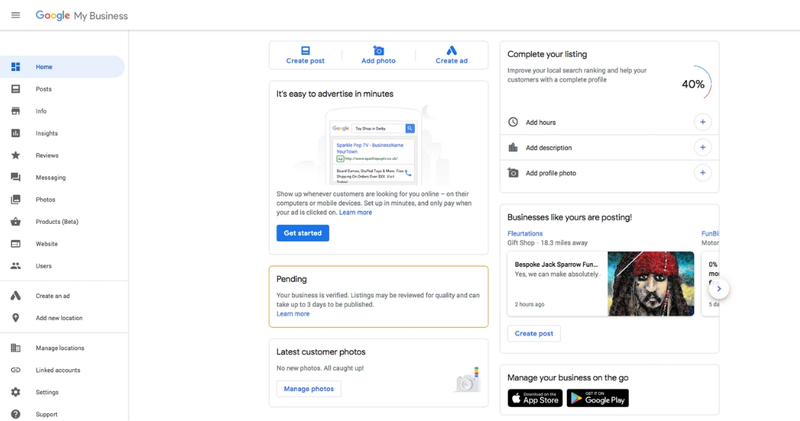 It also helps with your credibility - a business listing that is up to date, full of information, pictures and reviews has a higher trust factor over a business that doesn't have one. People will also be inclined to read the reviews about you which will increase that trust factor even more. Once you've created an account you'll be presented with a number of pages to fill in with information about your business, such as the address, website address, phone number, business type etc. Be sure that the information on your listing matches the information on your website exactly, otherwise your search rankings could be hurt! As per Google's quality guidelines (the guide they created to help them find, index, and rank your site), you should use your actual business name and don’t try to add keywords or location to your profile name to try to rank better. Google will see right through it! There is a space to write a brief description of your business so this is where you might want to use keywords such as location, industry along with any services you may provide. 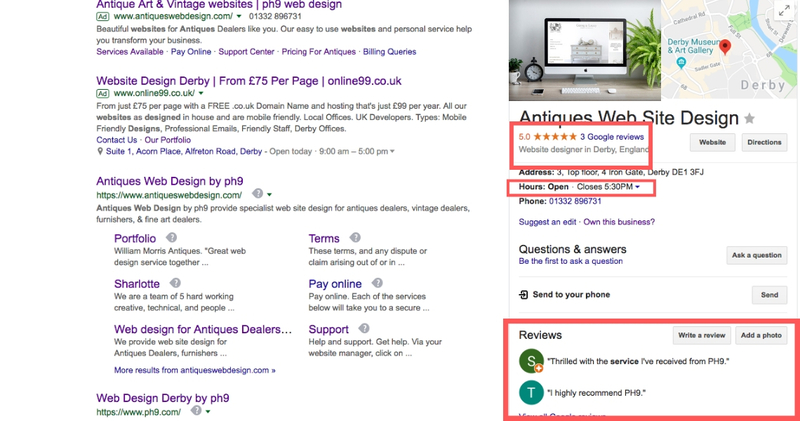 Focus on 1-3 keywords you'd like to optimise within your Google My Business listing. Try to use those keywords early on in your description then elaborate on why your business stands out and why people should buy from you. Read Google's guidelines on what to include. It will also tell you what isn't allowed including things like links, HTML code or if you exceed 750 characters. Ensure that your grammar is spot on because they'll give you a slap on the wrist for that too! It isn't confirmed whether or not Google actually takes your company description into consideration when ranking you but if a potential client sees the words they're looking for in your description that will only help. It never hurts to optimise anything you put online! Another thing that Google will scrutinise is image quality, so make sure that the images you use are of top quality! According to Brightlocal.com 60% of people say local search results with good images capture their attention and push them towards a decision, as we've said many times before visuals capture attention far quicker than text so this is crucial! Steer clear from overly professional photography that looks like stock images, as this can actually make your business seem untrustworthy. People want a real feel for you and your business. Also don't use stock images for your listing because Google will find them... and delete them! Opening hours or business hours - if you're an online business are super important to include. If someone is going to make the trip to see you or call you, they'll want to know when they're able to do so and it can cause frustration if they visit or call out of hours. Reviews - Although you can't actually write rveiews on there yourself, it is defintiely worth asking people to leave Google Reviews for you. Potential customers will often look at reviews to decide whether to do business with you, and having reviews is proven not only to increase the amount of people clicking to view your website, but also dramatically increases the chance they'll do business with you. So ask existing clients to review you. We're all forever looking for ways to be found more easily on the internet and this is just one of the simple ways you can increase your chances of doing so.